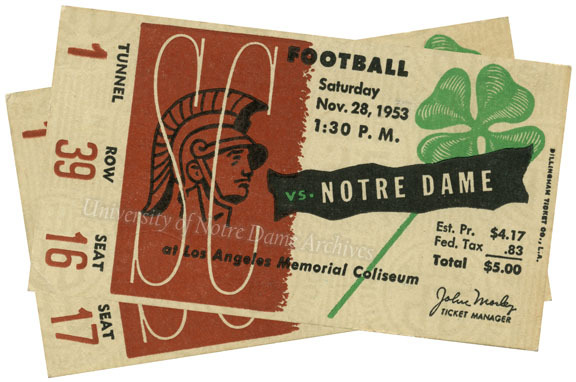 The Archives of the University of Notre Dame recently received a donation of interesting memorabilia from the Notre Dame vs. Southern California (USC) football game on 11/28/1953. 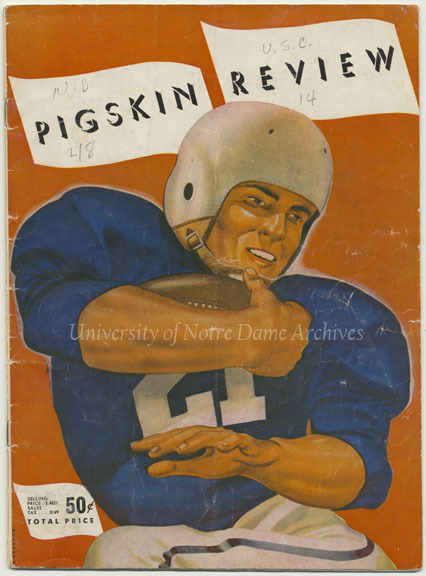 Football Program Cover: Notre Dame vs. Southern California (USC), 1953/1128. “My dad told me to stand near the ND bench as the players left the field. My dad was able to catch up with the ND players as a large crowd gathered on the field. 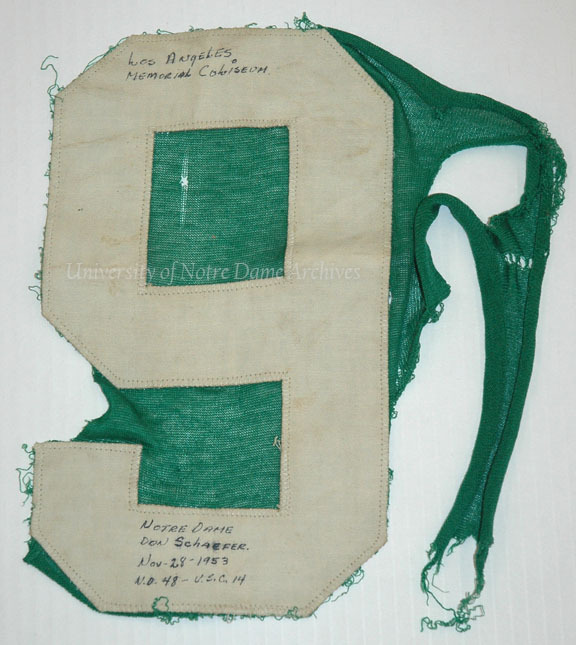 My dad reached out and grabbed a hold of one of the player’s jersey – #9 Don Schaefer. 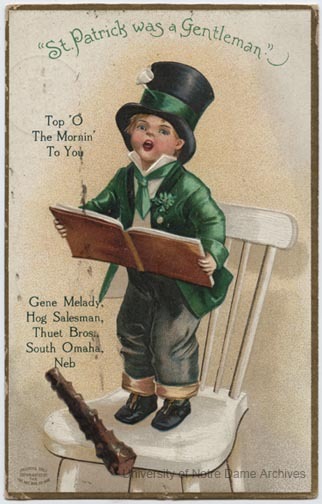 The team wore green tear away jerseys then. The jersey did as intended, tore away, and my dad ended up with the #9 from the jersey in his hand. Don looked back, smiled, and ran into the tunnel toward the locker room. 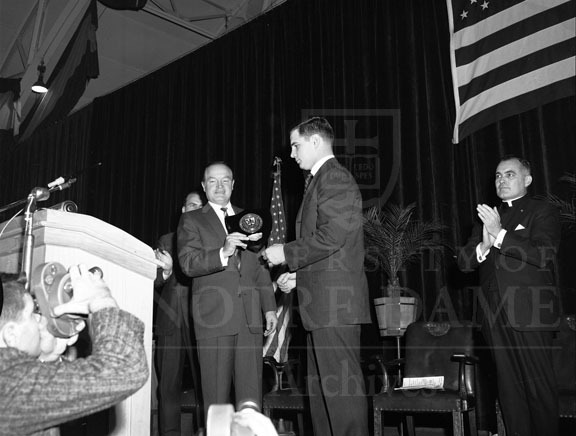 Numeral (#9) worn by player Don Schaefer in the Notre Dame vs. Southern California (USC) football game, 1953/1128. Felix Quesada Sr. grabbed the jersey as Schaefer was leaving the field. The tear-away jersey gave way, leaving the number in Quesada’s hand. “My dad and I went to the locker room exit and waited for the players to come out. They exited and we got to meet Don and eight other players and get their autographs – it was a thrill to meet Don and Ralph Guglielmi, etc. 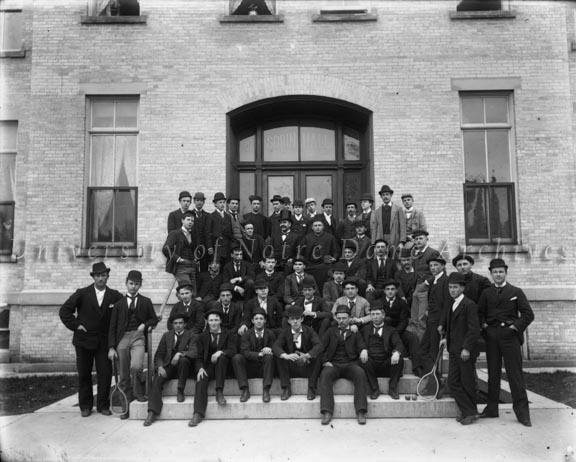 The Notre Dame Archives gratefully thanks Felix Quesada for this generous donation that helps to document Notre Dame’s history. These are some awesome artifacts.